Written by Benjamin Glazer based on a French play called "Toto"
"The Gay Deceiver" is a classic drama and romance starring Marceline Day among other renowned silent film players. Silent Era lists this film as "survival status: unknown". It is not available for viewing, so we have to rely on newspaper articles from the 1920ies. If you have any information about a surviving copy of the film please let us know. Lew Cody plays around with hearts like so many toys and takes all his admirers with a grain of salt. Cody's nonchalant attitude makes his playing particularly interesting. John Stahl has provided a first rate production with attractive sets and a good cast contributing to the entertainment. 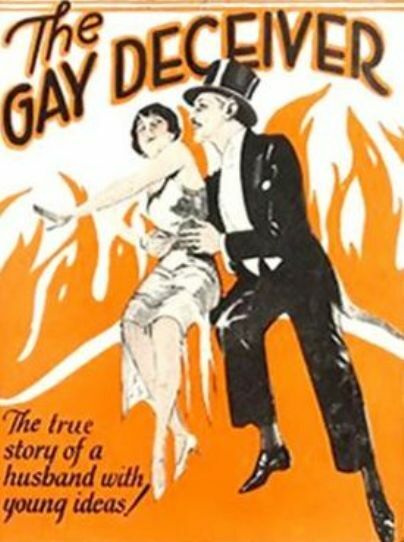 "The Gay Deceiver" has an all-star cost including Lew Cody, Carmel Myers, Dorothy Phillips, Marceline Day, Roy D'Arcy and Malcolm McGregor. Transferred to the screen from a very successful stage play named "Toto", "The Gay Deceiver" offers splendid and intelligent entertainment. Lew Cody heads the cast in the title role. He gives a distinguished performance as a Parisian boulevardier. Dorothy Phillips plays opposite Cody in the role of the wife who was tolerant enough to forgive the flirtations of her husband and begin all over again. There are two love stories in "The Gay Deceiver," one the reestablished romance of the estranged parents, and the other is of warm and vigorous youth, fighting its way through obstacles to a glamorous goal of destiny. Both are finely done, by Cody and Miss Phillips as the adults and by Malcolm McGregor and Miss Day as the youngsters. Stahl's masterful direction gives the situations of the story sincerity and conviction. 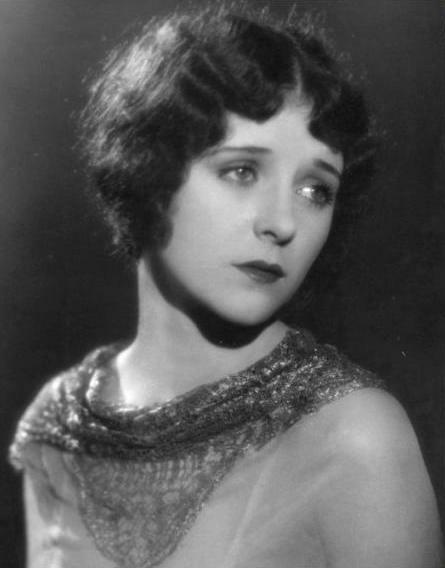 Marceline Day in a beautiful portrait for "The Gay Deceiver" (1926), which has an all-star cast including Lew Cody, Carmel Myers, Dorothy Phillips, Roy D'Arcy and Malcolm McGregor. Marceline Day and Malcolm McGregor in "The Gay Deceiver" (1926). 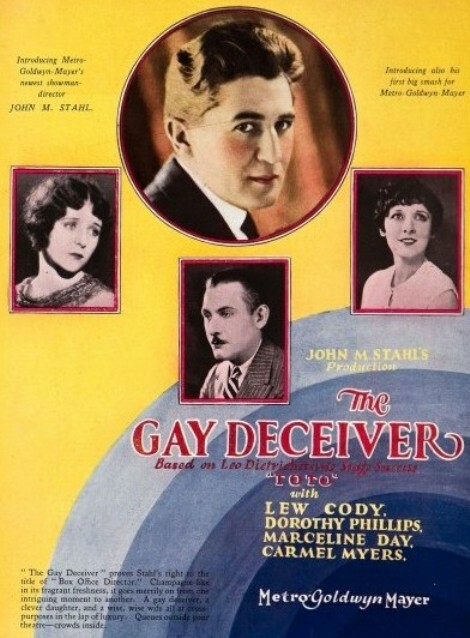 "The Gay Deceiver" (1926) has an all-star cost including Lew Cody, Marceline Day, Carmel Myers, Dorothy Phillips, Roy D'Arcy and Malcolm McGregor. Poster 1. Lew Cody and Marceline Day are father and daughter in "The Gay Deceiver" (1926). 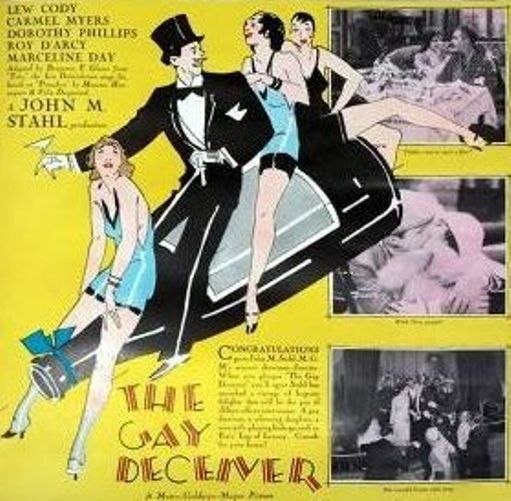 "The Gay Deceiver" (1926). Poster 2. 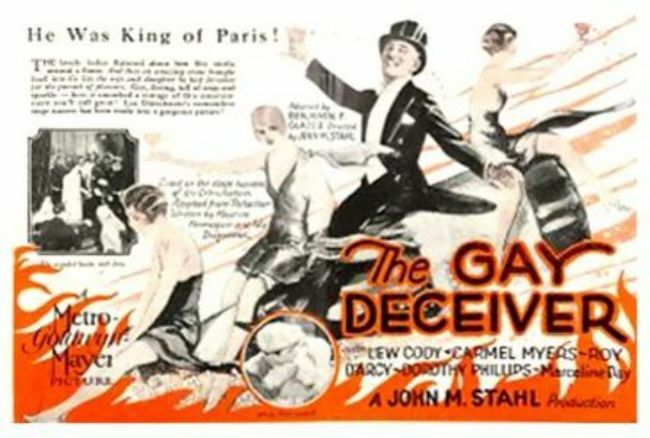 "The Gay Deceiver" (1926). Poster 3. 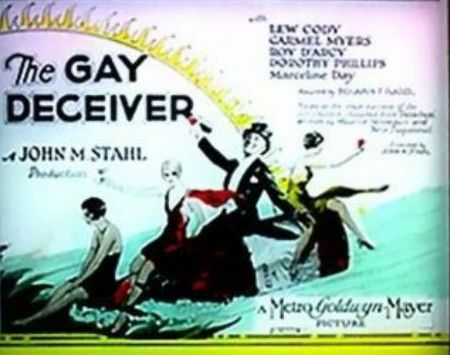 "The Gay Deceiver" (1926). Poster 4. "The Gay Deceiver" (1926). Poster 5. "The Gay Deceiver" (1926). Poster 6.